Dueling tariffs. Troubling words traded between two long-standing friendly nations. Divisions built on inherent tribalism, with little to no discourse between opposing sides. Canada and the United States haven’t been this opposed to each other in centuries, but to those who live in a border town, this development is entirely puzzling. That’s the way Windsor, Ontario singer Amy Rivard views it. She grew up on the Canadian side of the Detroit River and looked across at Detroit every day. She spent many a day in the United States and viewed Americans as neighbours. Today, a resident of New York, this proud Canadian is equally proud to call America her home. It’s a perspective only those who were raised in a border town can truly understand, and that includes those living on both sides of the border. It’s a message that not only resonates with her, but exudes from within her song When We Come Together. “I don’t want to fight with you. Let’s walk hand in hand,” Rivard sings. “We’ve made mistakes. We’ve been foolish and wrong. They aren’t just words to her. They are a way of life that she grew up immersed in living on the Canada-U.S. border. It’s a unique experience that molded her as she became an adult. Border residents interact with people on the opposite side of that border. They shop there, they entertain there. Thoughts of boycotting products or companies because the actions of politicians aren’t simply symbolic gestures to a border resident. In some instances, it would feel like sticking it to a family member. The annual fireworks display, the highlight of the Freedom Festival, held on barges situated between the nations on the Detroit River, is designed to celebrate the birthdays of the two countries – Canada Day on July 1 and the U.S. independence day on the Fourth Of July – and brings people from both Canada and the United States together in celebration, reminding everyone that we share much more in common than we are separated by differences. Rivard, who sang O Canada at the Running Flat’s Canada D’eh Race at Historic Fort Malden in Amherstburg, Ont., considers Windsor and Detroit to be like a giant community, separated by a river and yes, by a border, but certainly not by opposing philosophies. Deep down, no matter how different we appear or have appeared on the outside, we’re the same people on the inside, sharing the same hopes and dreams. This is the message Rivard seeks to amplify with her 360 music video When We Come Together. She is joined in the video by a number of area people, including music students from Assumption High School. To find out more about Amy and her songs, and also how to view her new music video, join Amy’s mailing list at www.AmyRivard.com, and subscribe to her YouTube channel, http://youtube.com/rivardamy. 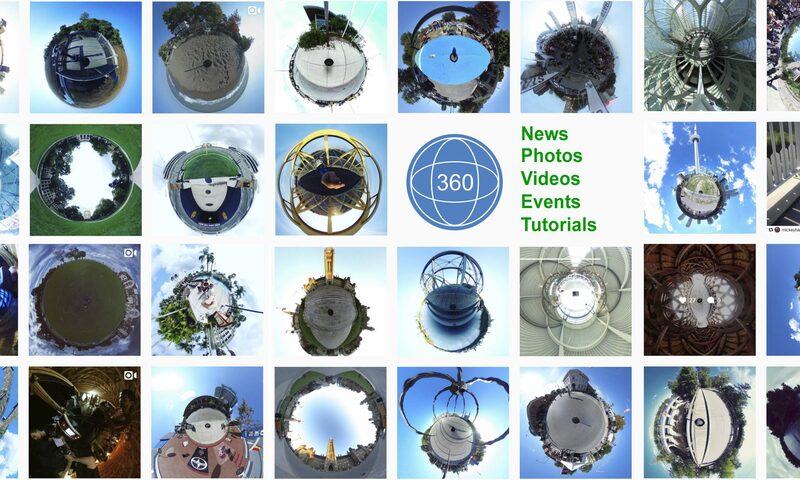 Lifein360.ca is a site that is everything 360. News, Photos, Events, Tutorials.